the companies we call "the stars of tomorrow." Where the forces of megatrends (as well as negatrends) intersect with the most promising growth themes to create the greatest investment opportunities. Blending systematic, top-down and fundamental bottom-up analysis, our careful and proven practices are applied to each position to assess fundamentals, potential, and fit. Our research process spans the growth themes we find most compelling — across the valuation spectrum, creating our vertical knowledge stack. When it comes to investing your money, we generally aim to steer clear of surprises. We practice systematic and disciplined decision making, balancing our empassioned search for compelling growth stocks with an institutional approach to risk management. GSV Stands for Global Silicon Valley. We Wrote The Book on Growth Investing. 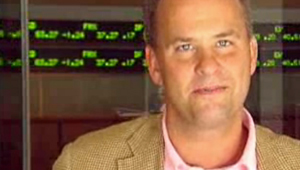 GSV co-founder Michael Moe is well known and regarded as one of the world's preeminent authorities on growth investing. 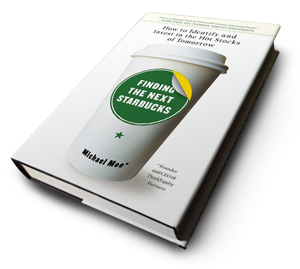 After successfully predicting the rise of Starbucks, Google, and other superstars, he authored the best-selling business book, Finding The Next Starbucks.